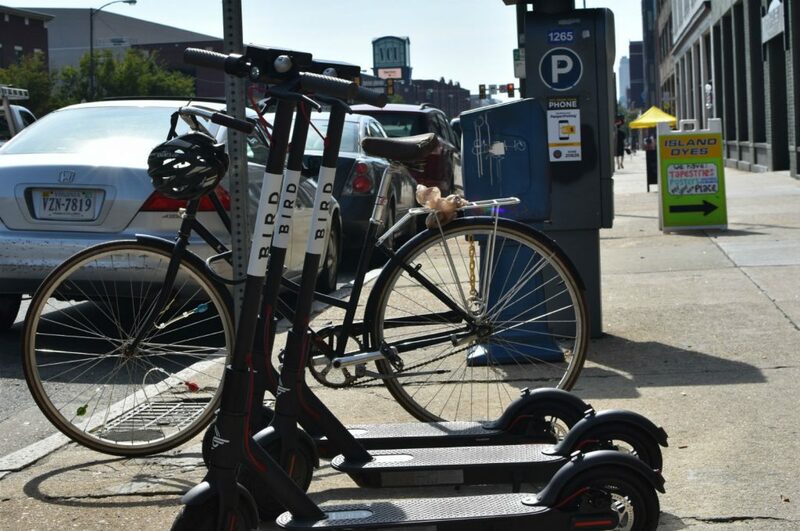 Under cover of darkness, electric scooter company Bird dropped off their titular rental vehicles last night, primarily along Franklin, Main, and Broad streets. 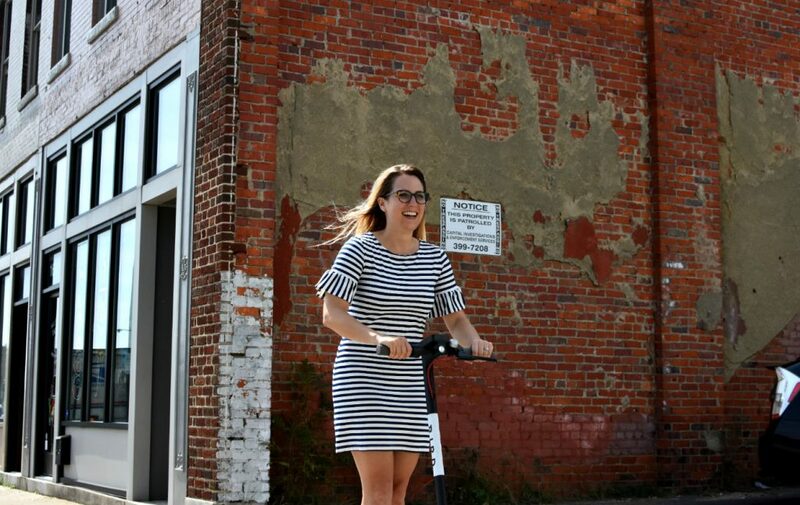 Placed in groups of three, which the company calls nests in their pun-heavy marketing materials, the new scooters are motorized and can be unlocked with an app–think bike share–and easily ridden for short distances for only a few dollars. Richmond is only the latest city to see their arrival, and according to people I ran into on the streets, they’re a complete surprise. “I’m so happy they’re here. I first tried one last week, in Kansas City,” Larkin Garbee, owner of co-working space 804RVA, told me this morning when I ran into her on my inaugural ride. “I just had the worst Uber ride of my life, I needed to get back to my hotel, and I saw them. As soon as I got home, I started looking to see if they’d come here.” Although the scooters have not been without controversy, they’ve inspired passionate fans like Garbee nationwide. In some cities, they’ve become the target of vandals; in others, they’ve been completely banned by city councils citing fear of accidents and congestion, despite their small profile and relative safety compared to automobiles. Garbee commutes into the city and prefers walking or taking the bus to get around once she’s landed. 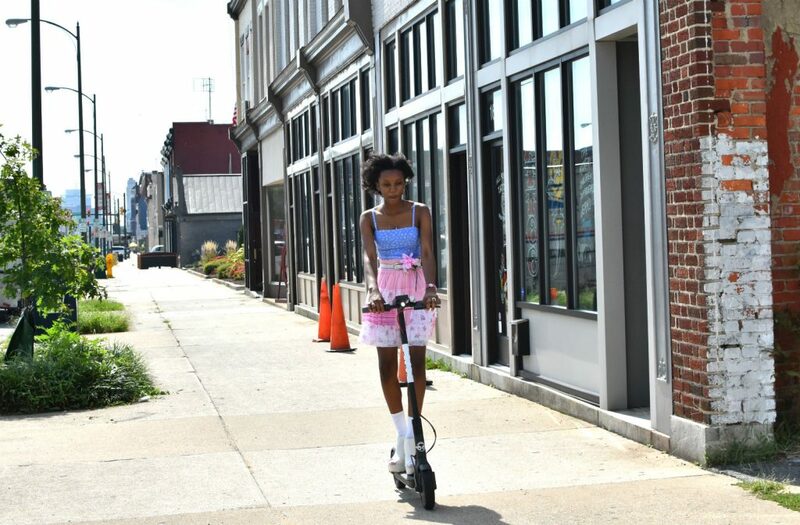 For her, the scooters have one big upside over the bike share program: Skirts. “It’s just not easy to wear a skirt or a dress on a bike,” she said. 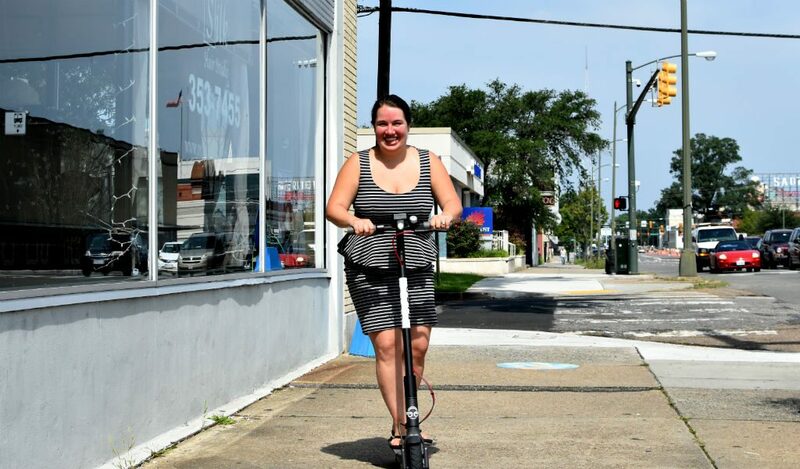 Short trips to meetings or just down the street for coffee will be easier in her regular professional attire on the new scooters. Part of the resistance seems to come from the guerrilla tactics of the companies behind the services. Bird, like others in this space, is a Silicon Valley tech firm. Like Facebook, their motto seems to be “move fast and break things,” with seemingly random deployments that stress stodgy, traditional municipal authorities and residents alike. Despite the negative media, my experience was overwhelmingly positive, with the scooter and with onlookers. After a quick bike ride down to the nearest scooter, which was a block from 804RVA, where I’d run into Garbee and others, I was up and going within seconds. The scooters require a driver’s license, which I’d already scanned in via the phone app, along with my credit card. After a few seconds getting the hang of it, I was on the move, and able to complete my regular errands around the Fan neighborhood. On average, I moved at 10 mph, with a maximum speed of 17 mph. Cars were able to safely navigate around me on the biggest streets I took–Grove Street and Main Street–and on side streets, I was able to keep up with the slower traffic. The scooter was slightly too small for me but still comfortable for my short trip, and it handled the smoother cobblestones of Monument Avenue and our broken sidewalks with ease. Heading west, I ran by Rostov’s Coffee, where employees and customers alike stopped what they were doing to marvel at the device as I picked up a bag of beans. From there, I headed back towards Broad Street with a stop at Idle Hands Bakery for a loaf of bread. Again, employees, customers, and pedestrians strolling by on Strawberry Street wanted to talk about the scooter. I had worried that I might encounter hostility or nervousness, but in the 15 minutes I spent riding across the Fan, the reception was overwhelmingly positive. The only trouble I encountered was on Grace Street, my street, where the uneven cobblestones made for a rocky ride. Check out birdapp.com for details, rules, and regulations, and a link to download the app.